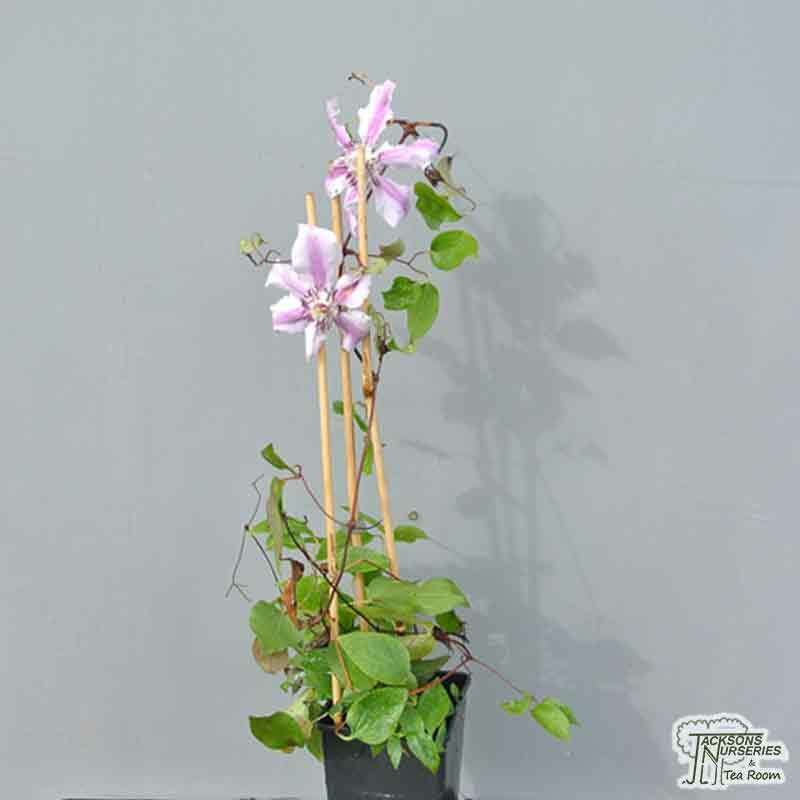 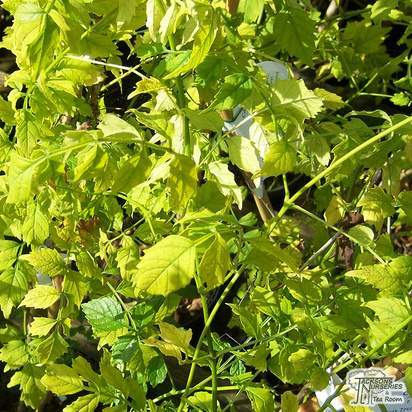 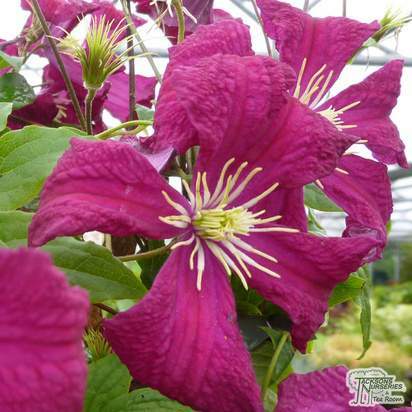 A superb medium growing, deciduous clematis. 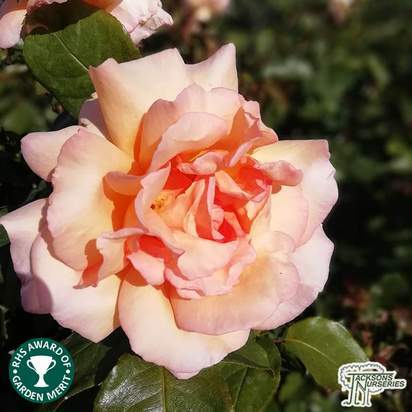 Stunning large rose pink flowers with a wide carmine stripe running down each petal, and deep red anthers in the centre contrast beautifully with the green foliage. 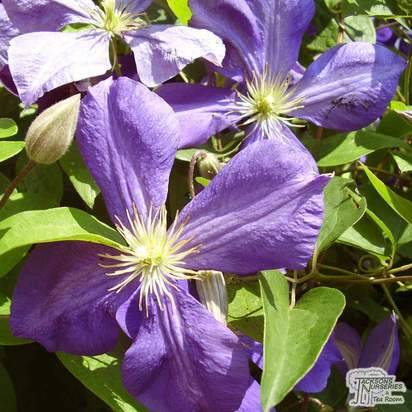 Flowers from late spring to early autumn (Group 2), often followed by large round seedheads. 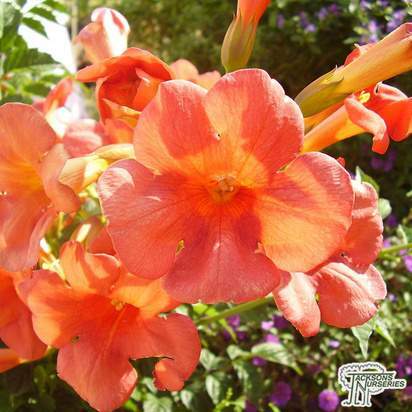 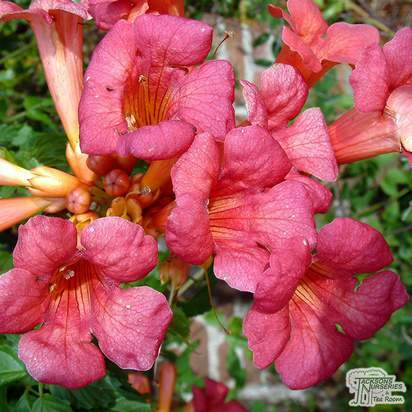 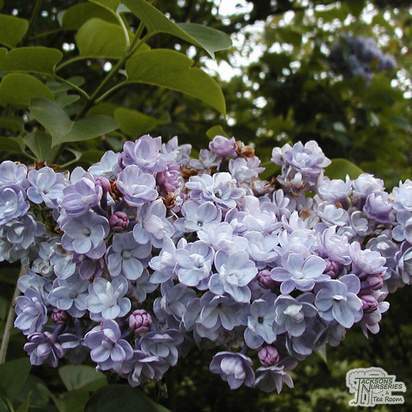 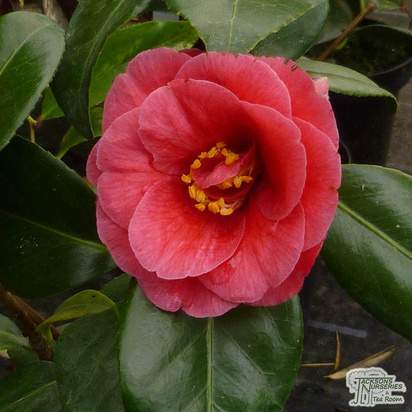 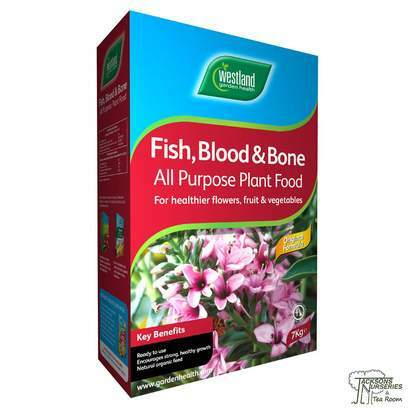 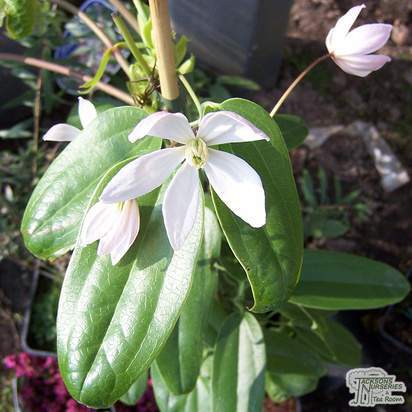 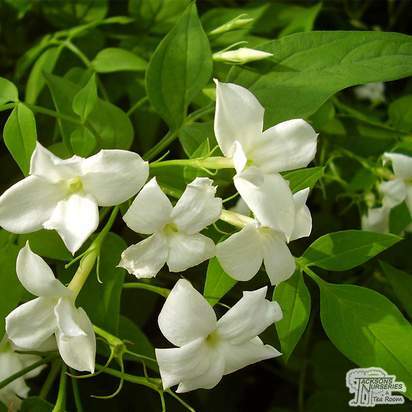 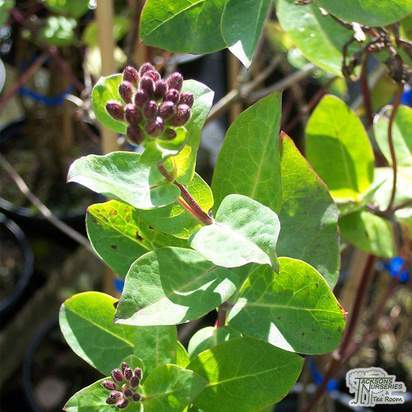 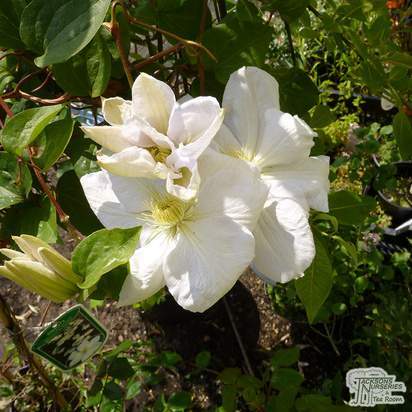 Prefers roots to be kept cool and shaded, with the flowers in partial sunlight, as full sun can cause the flowers to fade quite dramatically. 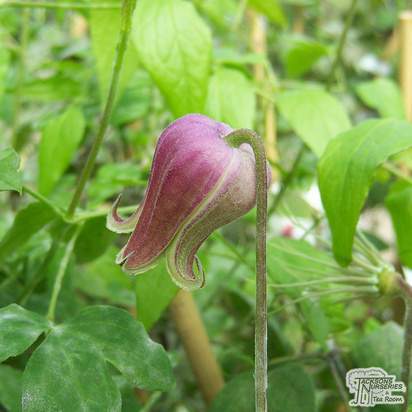 Clematis are one of the most popular climbing plants in our gardens. 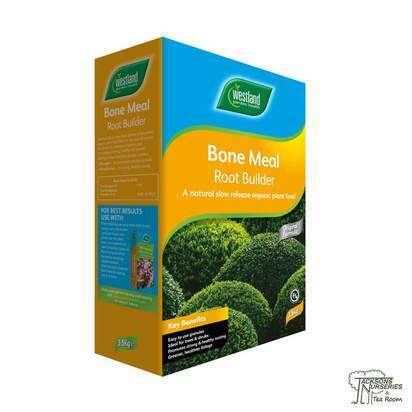 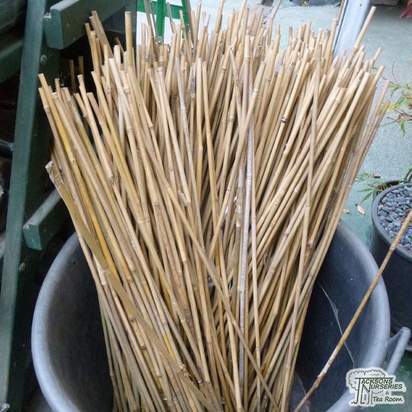 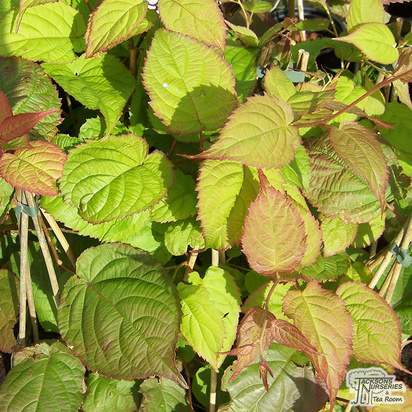 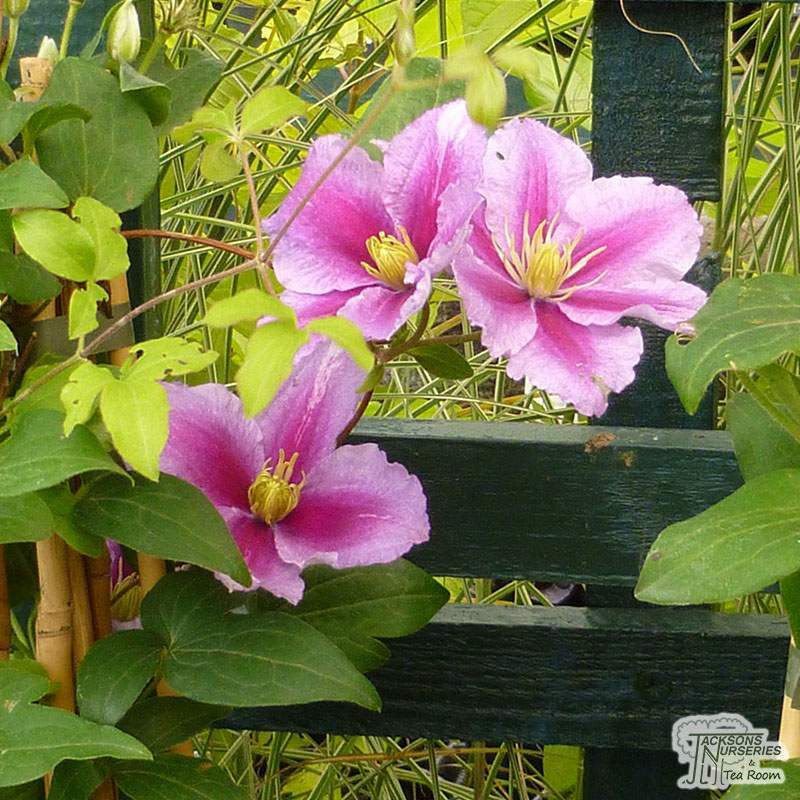 Not only are they excellent for covering walls, arches, pergolas, fences or unsightly tree stumps, they also come in a huge range of colours and shapes. 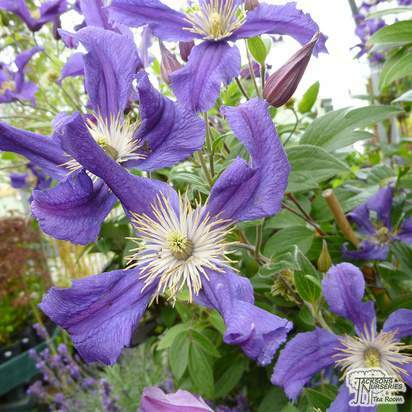 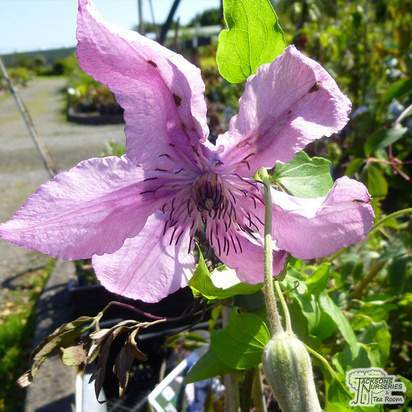 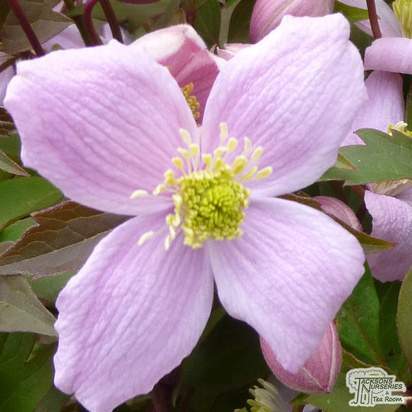 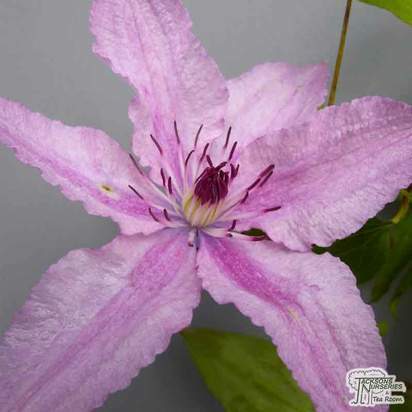 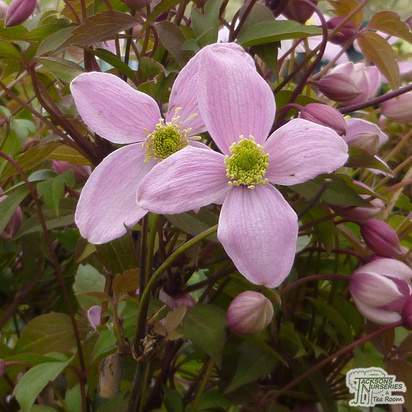 With varieties flowering in spring, summer, autumn and winter, you're bound to find a suitable Clematis for your garden.